It’s been a couple of months since I’ve done any interviews, so I figured the best way to make up for lost time was to bring you two interviews for the price of one! Prepare to be absolutely amazed (and also a little bit sheepish, since these boys are more than likely hiking laps up your projects for their warm-ups…) Cameron and Jonathan Horst (or Cam and Jon for short) are the sons of training guru Eric Horst, author of numerous books on climbing-specific training, including the well-known titles “How to Climb 5.12,” and “Training for Climbing.” I first met Eric several years ago at the New, but had the pleasure of meeting the entire family last spring at the Red River Gorge in Kentucky. 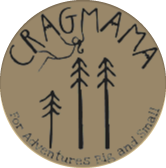 For me it was fun to see the “next phase” of a crag-family in action, as it gave me a little glimpse of what to expect once Cragbaby starts “for real” climbing. And when I say “what to expect,” I’m not talking about numbers, since these guys are in the nationwide elite of crag kiddos. 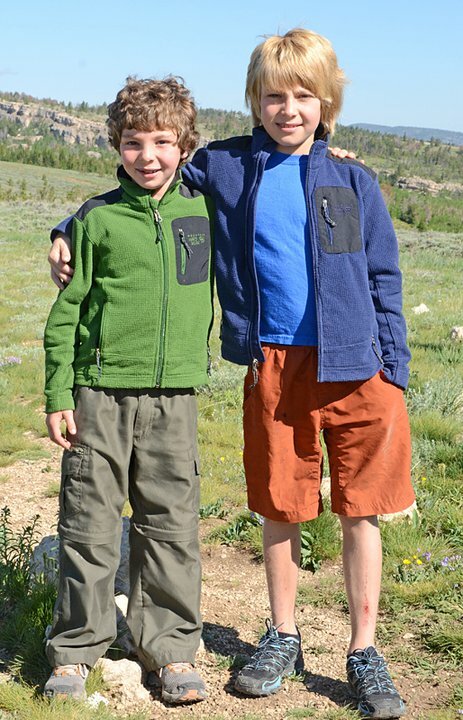 Here’s what 11 year old Cam and 9 year old Jon had to say about life on (and off) the rocks. Both were so young they don’t remember it, but according to dad, they began on their home wall at age 3, and on real rock around age 4. 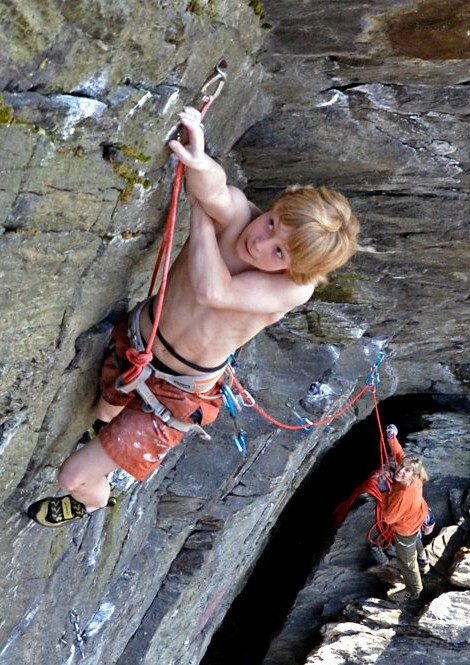 Both did their first lead climbing (on bolted routes) at the age of 6. What do you like most about climbing? 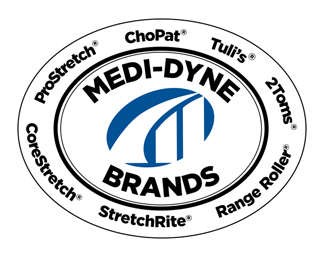 Cam: The movement, the challenge, and the outdoor experience. Jon: It’s fun – I love doing hard moves and getting high up on a cliff. When you’re not climbing, what do you do for fun? Cam: We both play tackle football in the fall and basketball in the winter. Jon: We also like playing with our friends, and training in our home gym. What style of climbing do you like best and why? Cam: I mostly sport climb, but I also really enjoy trad. I’d like to lead more trad routes, but I’m just starting to get into placing gear. Jon: I like overhanging sport climbs the best. But I also really enjoyed climbing Devil’s Tower and Independence Monument on our summer trips out west. 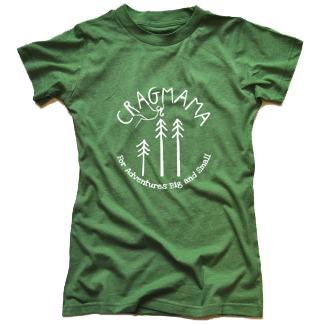 What are your favorite crags? Cam: God’s Own Stone (5.14a) is the hardest route I’ve done, but it fit me perfectly and I did it in 4 tries. However the route that took me the longest (7 tries over 2 days) was Ultra Perm (5.13d). It’s about 100 feet long and overhangs about 50 feet. It’s so steep, and reachy for me. The crux was near the end of the route and it’s pretty runout, so I took a few 40 foot falls. 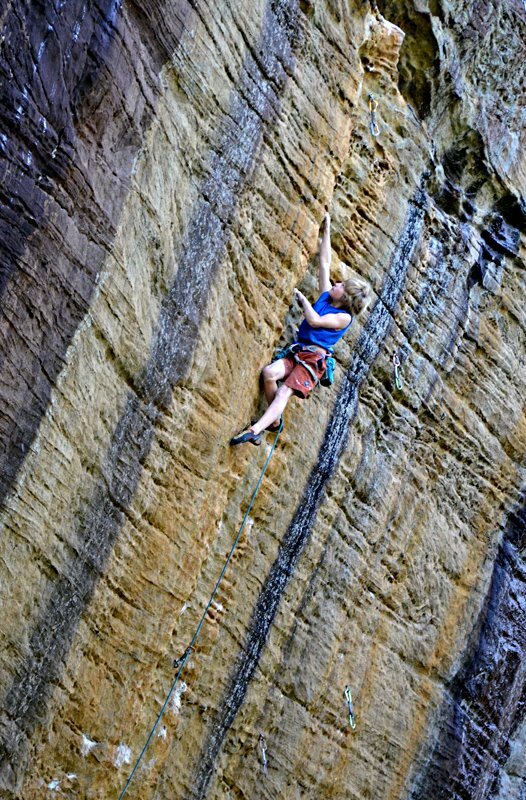 Jon: A route at the Motherlode in the Red River Gorge called Skinboat (5.13a). It had a big lunge (for me anyway, since I’m short) at the start, then a 5.12+ crux, followed by a long sustained section of 5.12a. It took me 4 tries over 2 days. What’s the best part about family climbing trips? Cam and Jon: Traveling to new places, camping and cooking outside for weeks on end! We love exploring new cliffs. How do your teachers and classmates at school react to your climbing? Cam and Jon: They mostly don’t get it…and they definitely don’t understand how hard and challenging it is. But our teachers are curious and our gym teacher can see how strong we are from climbing and training. What goals do you have for the next couple of years? 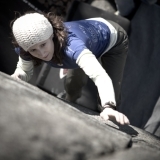 Cam: This year I want to do another 5.14a; next season I’d like to climb 5.14b or 5.14c. 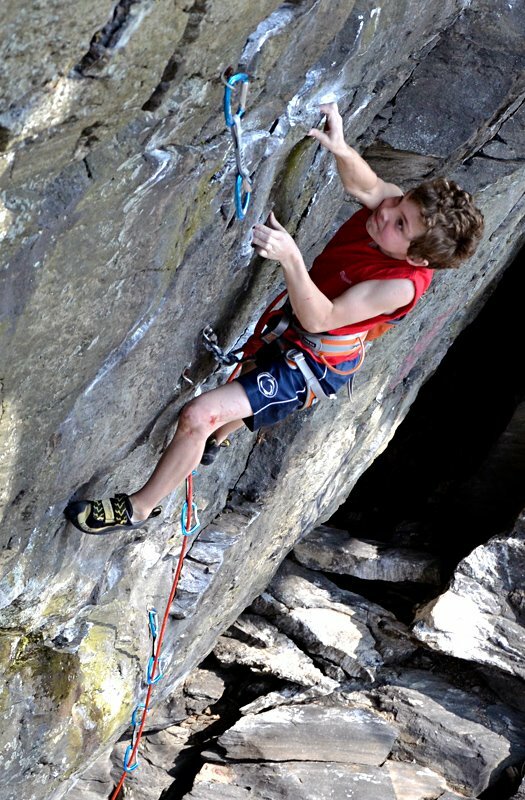 At age 12, that would be something only one other person has done before (Adam Ondra). Jon: I’d like to project a few more 5.13’s…and hopefully send a couple of them! 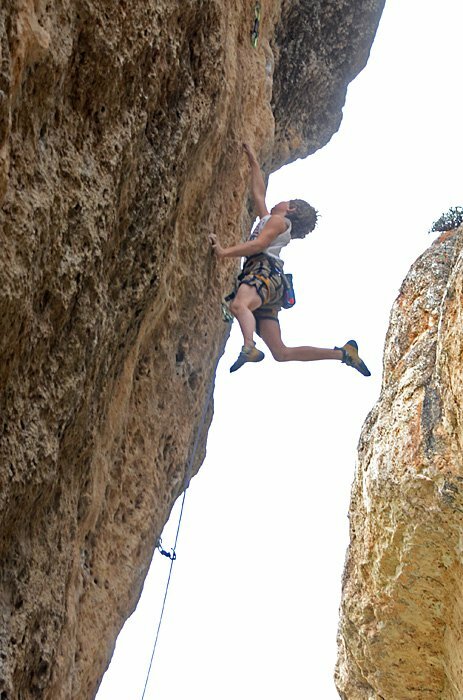 At my height (4’6″) it’s hard to find hard routes without big reaches that I can’t do. Next year I hope to climb 5.13b/c. Cam: I’d like to be a pro climber for a few years so I could travel and climb full-time, then perhaps work in the climbing industry…or be a climbing coach or researcher. Jon: I’d like to climb a lot as an adult, but I don’t really know yet what I want to do as a career. Jon making the most out of all 4'6"! What’s the moral of the story? 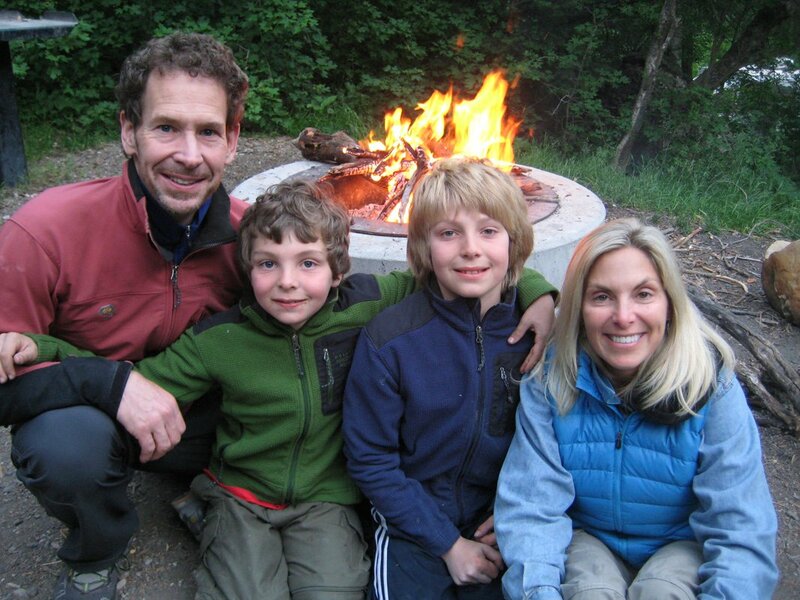 Whether its climbing, fishing, biking, skiing, bird-watching, or just having picnics in the backyard, make sure you’re providing meaningful learning experiences for the whole family in the great outdoors! Modeling a healthy, active lifestyle will go a long way towards making the next generation healthier and happier! Many thanks to the Horst family for agreeing to share a glimpse of their family’s story! I hope it’s as motivating to you all as it was to me! That’s a great article. Really inspiring to see younger kids climbing so hard. 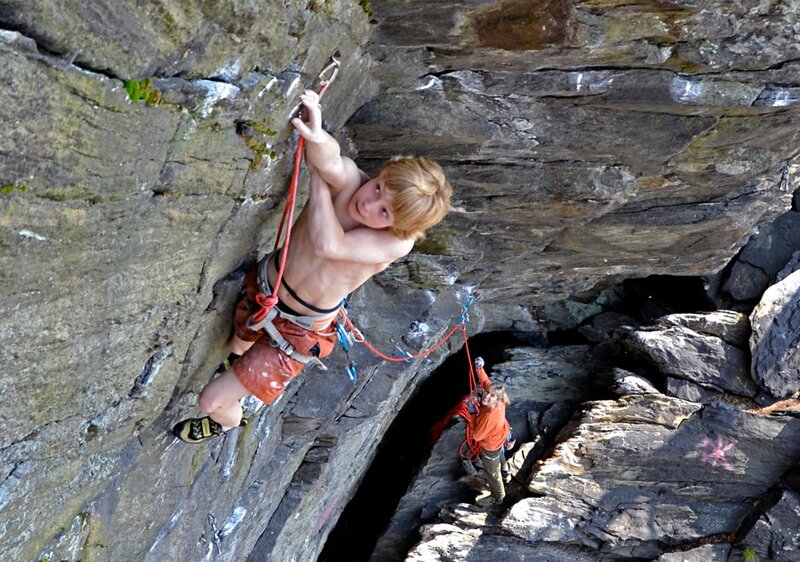 Makes me realize what the potential for the future might be in climbing. Wow, that is so awesome and inspiring! What cool kids! I know a lot of parents talk about how they would encourage climbing but they don’t want to force it. That kids who are forced to climb early often get burnt out. I wonder what Eric and his wife have done to keep the kids interested and if it will keep working through those rough teen-aged years. 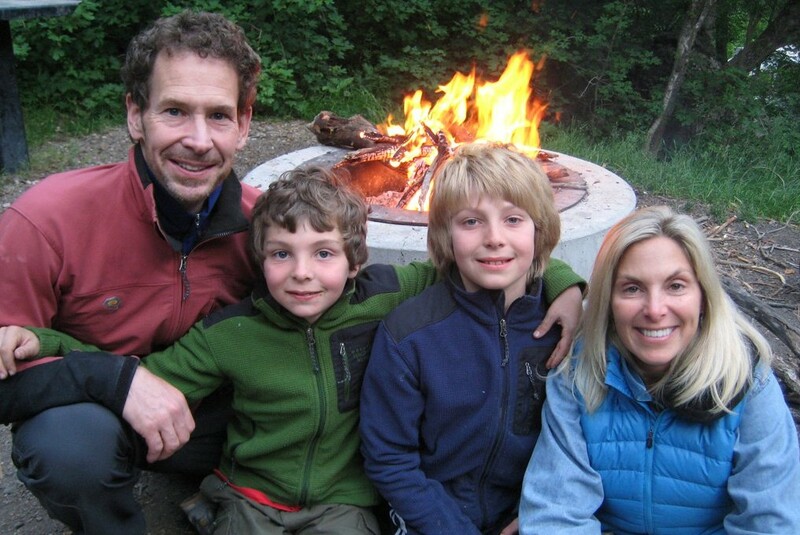 Kate, Our kids have been climbing since they can remember, but they are not even close to “burning out” on climbing because they do so many other things–flag football in the Spring, Tackle Football in the Fall, basketball in the winter. So, they have team sports to balance out the very individual nature of pushing themselves to climb hard, often scary, routes. Plus, these other sport provide nice physical balance (since climbing is about “pulling”, and football more about “pushing”). With regard to climbing, they’re always chomping at the bit to climb more. So I guess the key to long-term motivation is a “balanced” approach to all things. Great article! Makes me wish I had started climbing when I was a kid. 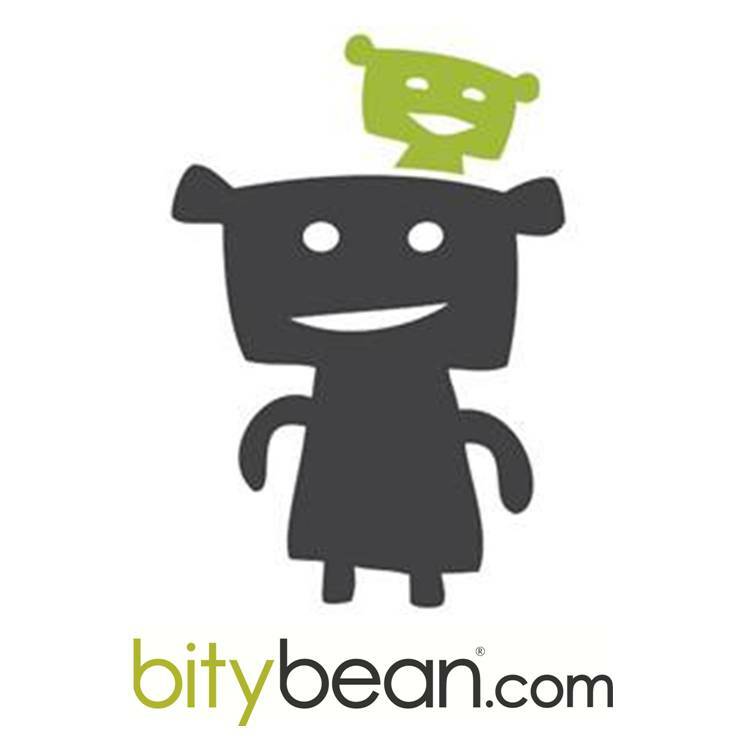 Great story! They seem to be great kids… Will be exciting to follow their development and see what they’re up to next! well check things out. I like what I see so now i’m following you. Look forward to finding out about your web page again.